Kimball Office is a leader in office space innovation, consistently releasing new products for the active and ergonomic work space. 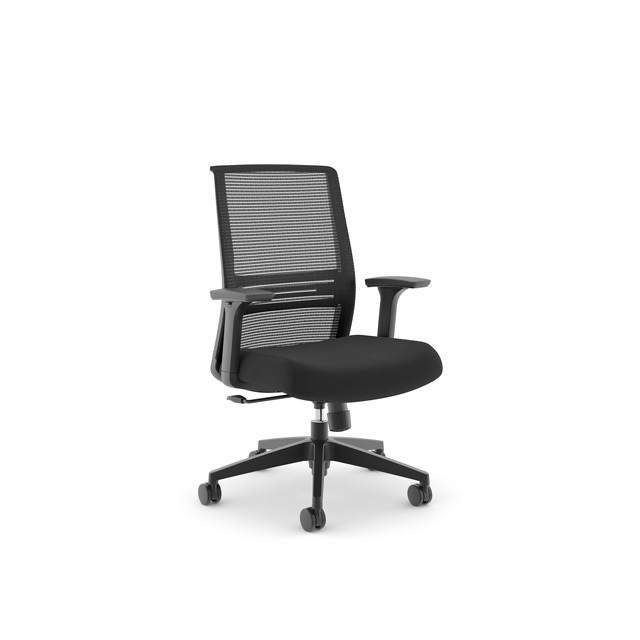 The Joya chair is no exception – its customizability makes it the perfect budget office task chair. The comfort of this chair begins with its 3 ½” sliding seat cushion, but doesn’t stop there. There are 5 different options for arms: from the most basic, static arms, to C arms, all the way to 3D height-adjustable arms. As well as arm customization, the options for back mesh consist of more than just black. Choose from back horizontal or vertical, or go for a statement piece in premium vertical white mesh.